Don't wait and publish your game on KS with us! You did it! We hit the 200% of funding goal. You did it! We hit the funding goal. We offer a retail pledge option for our newest Kickstarter campaign. Publish your game on Kickstarter! Send your prototype to us. We will help your dreams come true! 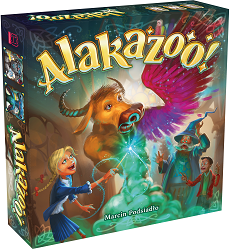 Alakazoo is a family board game for 2-4 players based mostly on Set Collection and Pattern Building with additional Card Drafting and Dice Rolling mechanics. Welcome to the Valley of Alchemists, a land set in the heart of the mountains, carved by a moving glacier thousands of years ago. 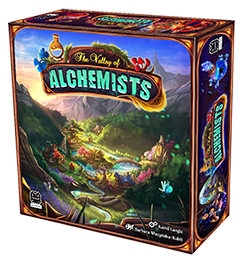 Learn new recipes and persist – perhaps you will be the one to win the Spring contest and with it, the title of the best Alchemist in the Valley for the whole upcoming year.